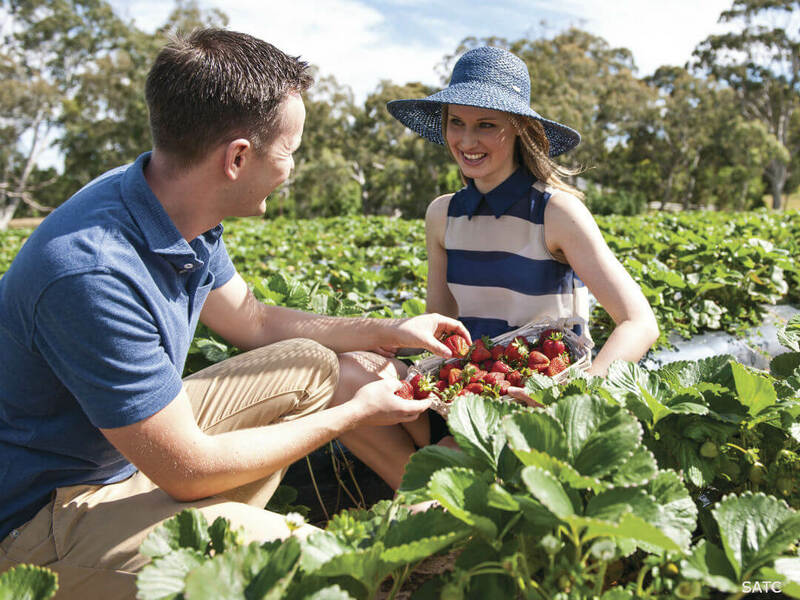 One of the most popular reasons to visit Adelaide is to tour the wineries in the area. 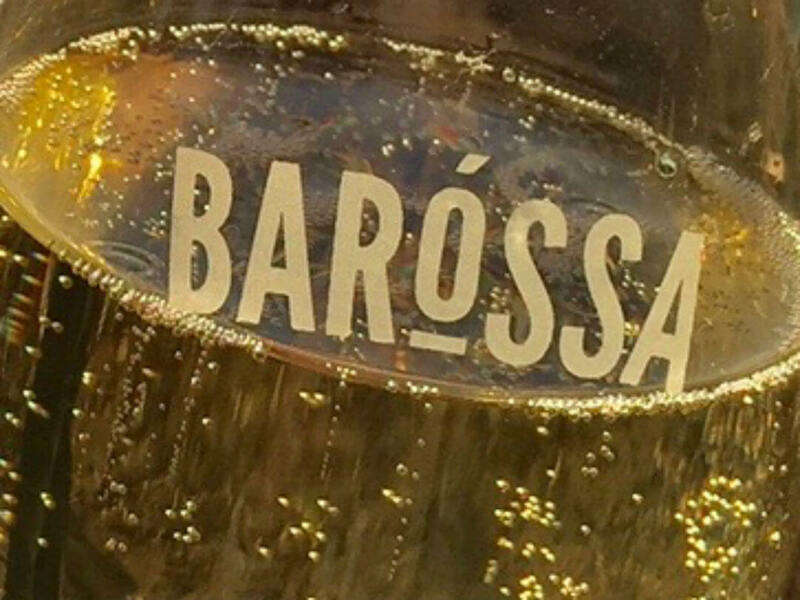 The four key regions that everyone wants to visit are the Barossa Valley, McLaren Vale, Clare Valley and the Adelaide Hills. The wine growing regions in South Australia are so important to the prosperity of the region that in 2012 the South Australian Parliament passed legislation to protect Barossa and McLaren Vale from urban sprawl. Barossa Valley is the better known region and is most famous for its red wines particularly Shiraz, with the most notable producer being Penfolds and the coveted Penfolds Grange. 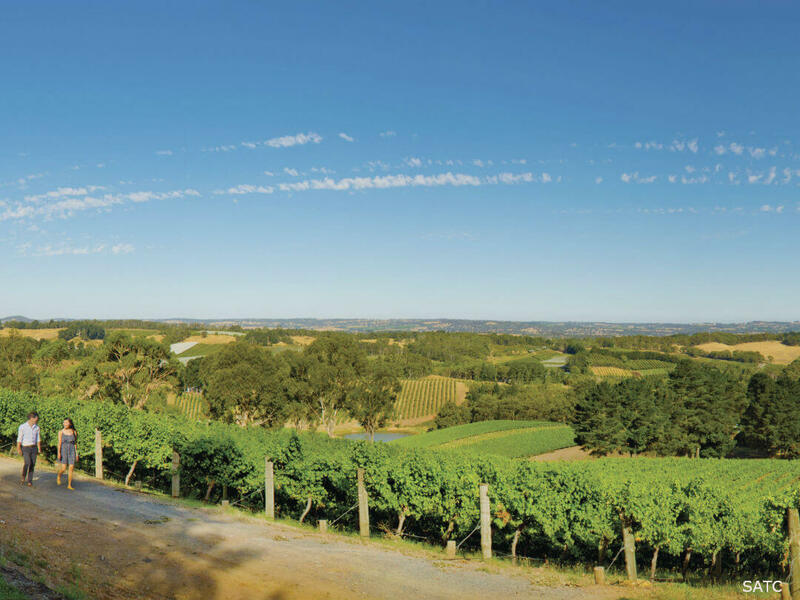 Clare Valley is best known for Rieslings and is one of Australia’s oldest wine regions. The Riesling Trail is a cycling / walking trail from Auburn to Clare following the old railway line. The McLaren Vale region is also known for their dry red wines, although with a proliferation of small boutique wineries other reds and now white wines are becoming popular. The closest wine region to Adelaide is the Adelaide Hills, with not only wineries but micro breweries and cider houses. If you are interested in stepping away from the traditional types of wines then Adelaide Hills has plenty of progressive wineries to choose from. Adelaide is well set up for Enotourism (tasting, consumption and purchasing of wine) with a variety of operators and offerings. You can take a self-guided tour although it is hard to beat a snooze in the back of the bus as your guide takes you back to your hotel after a hard day at the various cellar doors. 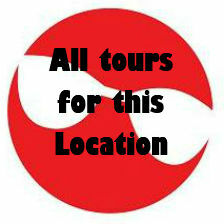 Also the tour operators usually know the better wineries to visit or can tailor a tour to suit your tastes. 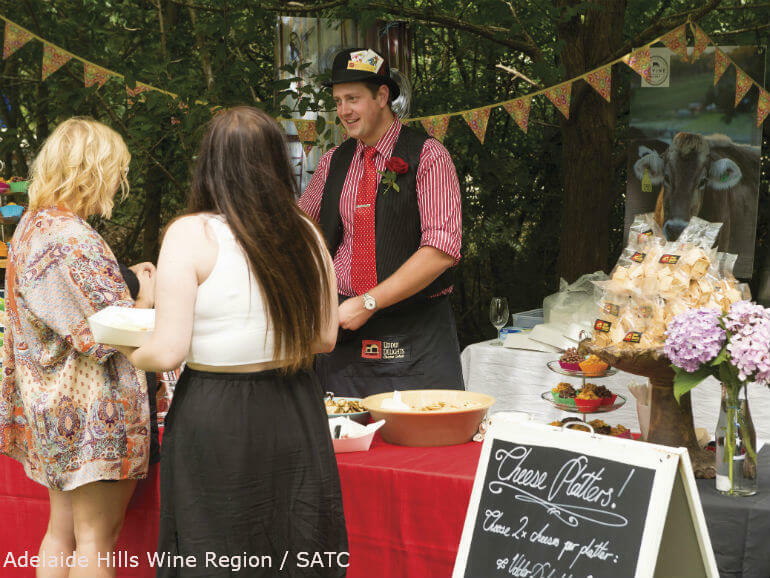 People visit Hahndorf for its wines, small goods and to see Australia’s oldest German settlement. Hahndorf is located in the Adelaide Hills about 30 klm South East of the Adelaide CBD. Settled over 175 years ago by Prussian Lutherans the town retains its strong German heritage and is a popular day trip from Adelaide. Although with the proximity to the Adelaide Hills wineries, museums, art galleries and German Smallgoods, there is so much to do that one day may not be adequate. Hahndorf (Hahn’s Village) was named after Dirk Hahn, the Captain of the ship the immigrants arrived on, who was instrumental in the negotiation of purchase the land where the town now stands. Hahndorf architecture is an interesting mix of traditional German design and construction with Australian style verandas. In August 1885, in a show of civic pride, Cork Elms, Chestnuts and Plane trees were planted along the main street, many of which still survive today. The Adelaide Hills offers so much for visitors that at times it appears as though the wineries, breweries and cider houses are just a pleasant distraction. The area has a strong German influence that culminates at Hahndorf (see above), this influence extends to the bakeries, small goods and retailers in the area. To the north there is the Whispering wall near Williamstown, a parabolic dam wall constructed over 100 years ago where your whisper can be heard over 140m away on the other side of the dam. Birdwood is the home to the National Motor Museum, which has over 400 vehicles and automobillia on display as well as toys, models and over 30,000 images. For the smaller children why not visit the Toy Factory which home to the Big Rocking Horse. As well as seeing how wooden toys are made you can visit the wildlife park and feed the animals. 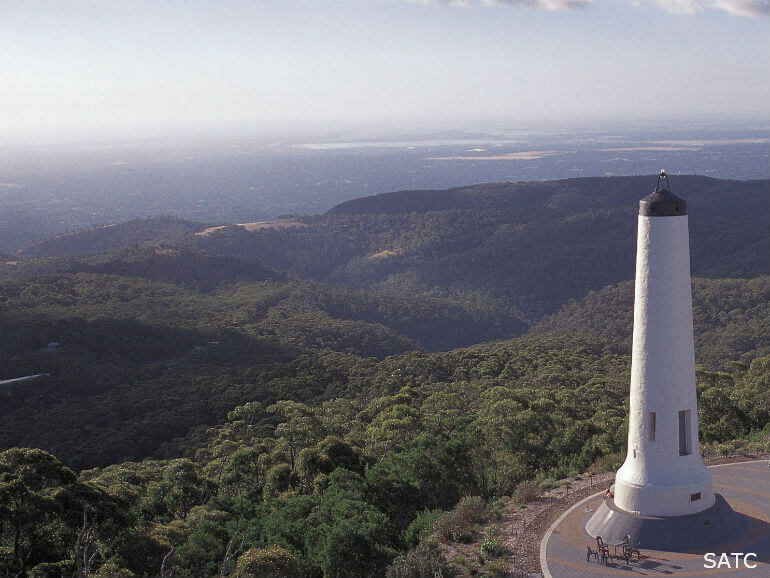 For unbeatable views of Adelaide City and the surrounds visit Mt lofty. At 727m the peak is the highest point on the range and with a restaurant and café to allow you to relax and enjoy the view. For the more active you can walk the 4 klm track to the summit , a popular exercise trail. Of course there are great wineries, cider houses and breweries and a strong German heritage in an area with a natural beauty that attracts artisans from many different disciplines. 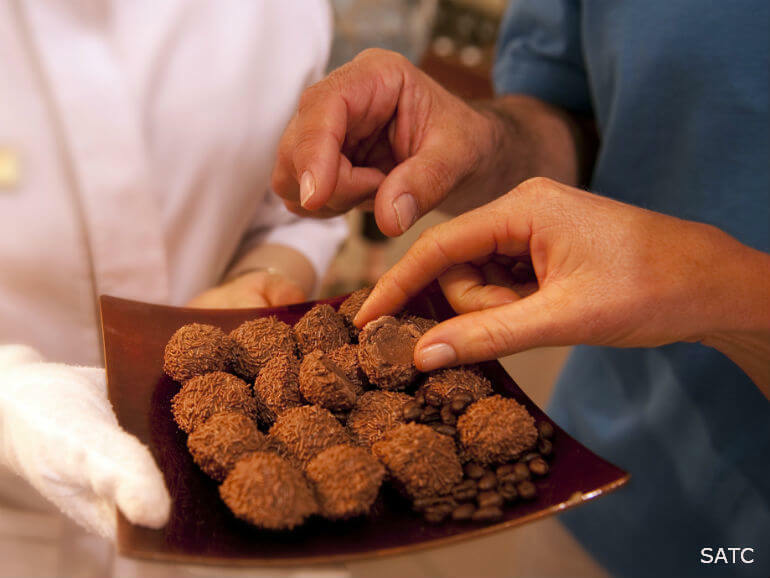 If you are a chocolate lover then Haigh’s Chocolates is a must do. 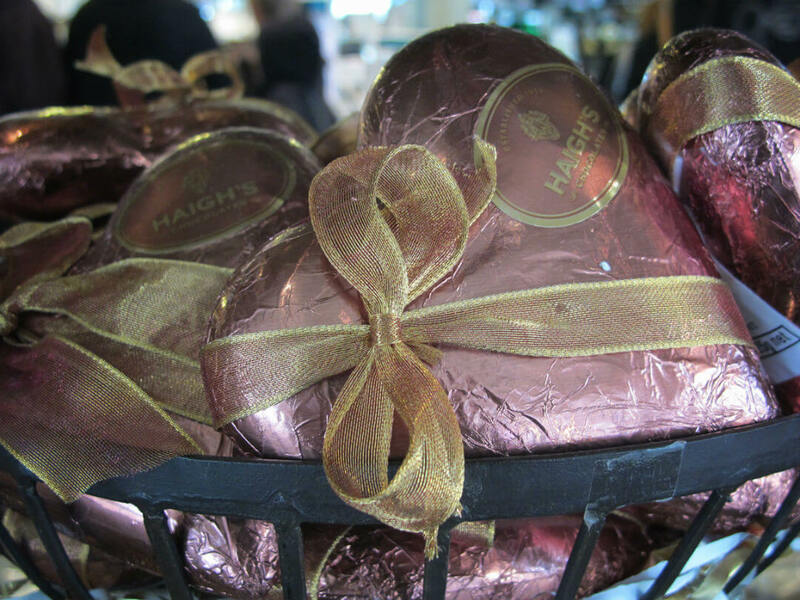 Still family operated, as it has been since 1915, Haigh’s Chocolates has 6 stores in Adelaide and a visitors centre. At the visitors centre you can take a free guided tour and learn about the company’s history and see how their chocolates are produced. The highlight of the tour is the complementary tastings. Make sure you book as the free tours regularly book out and you wouldn’t want to miss seeing how these chocolates are created and hand finished. Start your day with breakfast in the markets! 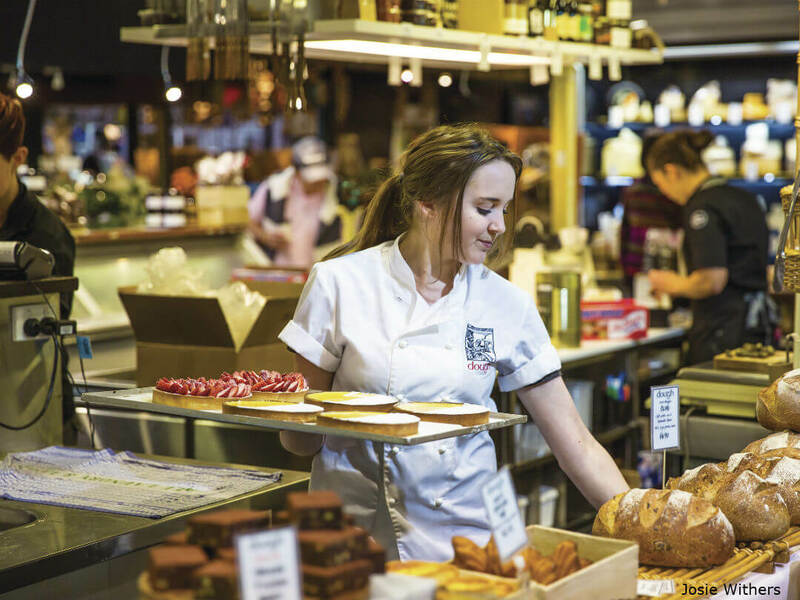 Running Tuesday to Sunday and visited by around 8 million people a year the Adelaide Central Markets is one of Adelaide’s most popular attractions. Fresh market produce is the key reason people flock to the markets although there is much more to the markets than this. The markets were started in 1869 by a group of market gardeners and now has expanded to include meat and seafood. Children will love the Old Lolly Shop and there are enough cafes, patisseries and specialty retailers to keep everyone interested. In a fresh new trend the markets now have a ‘Producer in Residence’ stall that changes every two weeks. 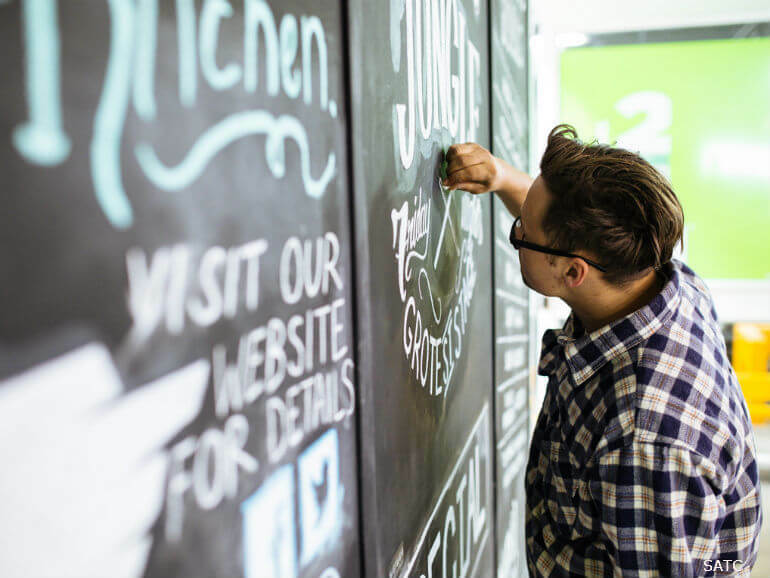 Here, every fortnight, you will find a new retailer showcasing their products. 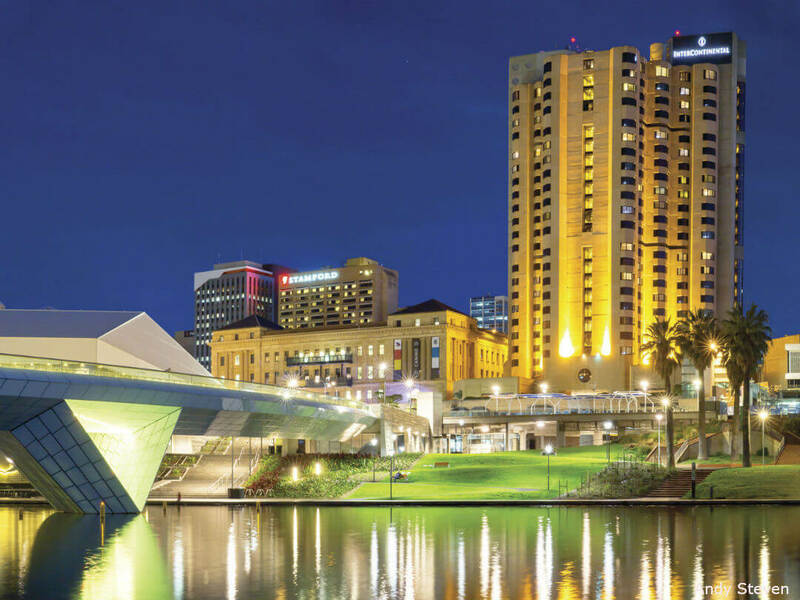 Want to find out more about Adelaide? 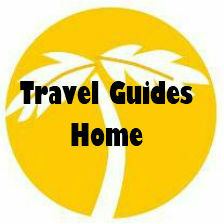 See our Adelaide Things to Do Travel Guide. On the edge of the Adelaide Botanic Gardens and managed by The University of Adelaide. sits the National Wine Centre. The centre includes the Wine Discovery Journey, an award winning interactive experience covering all aspects of the wine industry from growing through to consumption. Within the centre is the ‘Wined Bar’ which is Australia’s largest wine tasting room with 120 different wines available. Featuring wines from the famous Penfold’s Grange to boutique wines on their way to be famous. 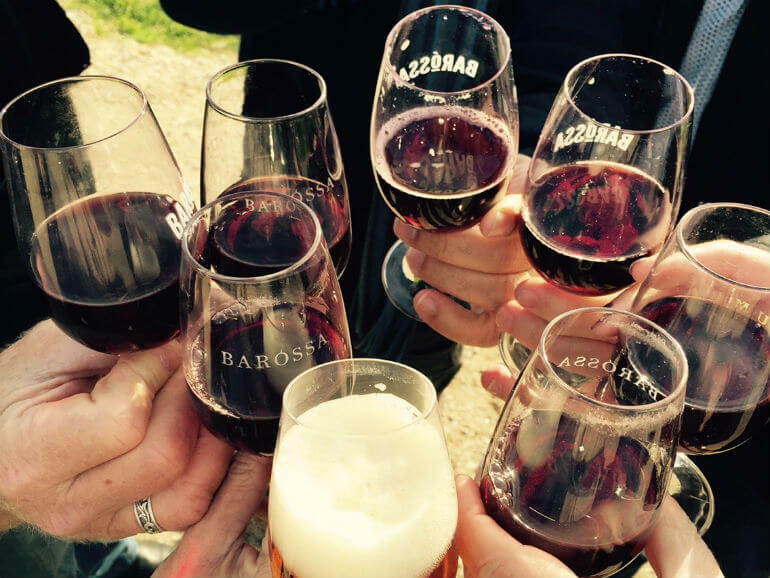 Take the Wine Discovery Journey or ask the staff on hand to help you find the perfect wine from all the best Cellar Doors. 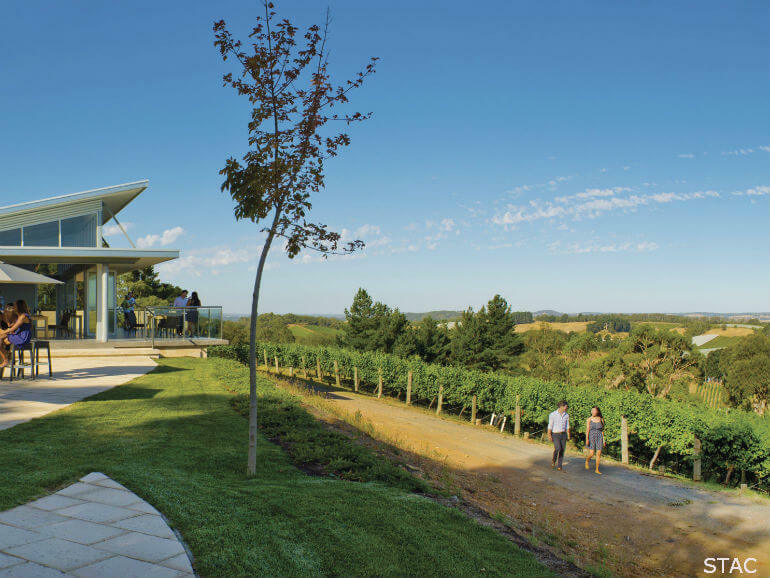 Open 7 days a week and with dining options the National Wine Centre will make you appreciate a tour of the vineyards even more. First opened in 1883, Adelaide Zoo is Australia’s second oldest zoo. The zoo has aimed to house species grouped together as they would be in their natural environment with enclosures replicating their natural habitat. 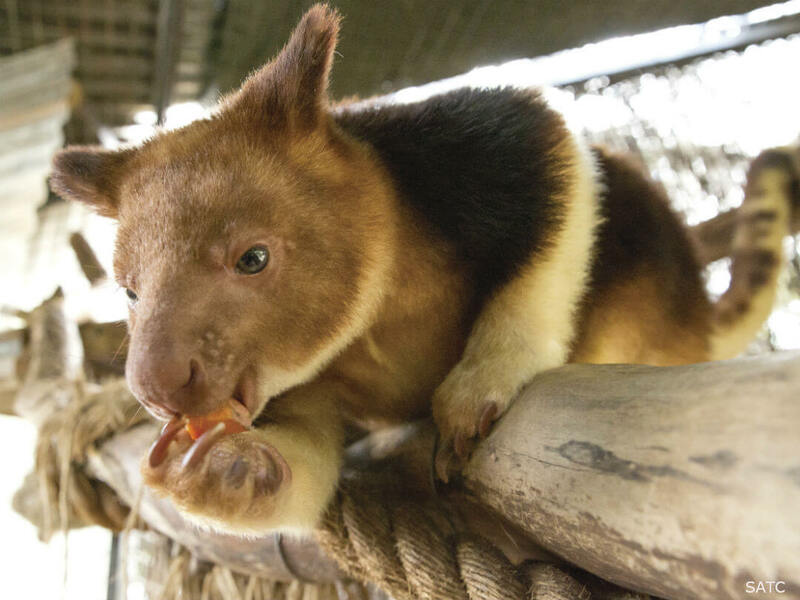 This supports the zoo’s focus on its educational purpose and newer exhibits allow visitors to experience visiting the animals as they might see the animals in the wild. The Adelaide Zoo is famous for its bird collection and displays and has a rainforest wet land walk through aviary. The Gondwana super-continent (Africa, Australia, India, South America and SE Asia) species are a key zoo feature. 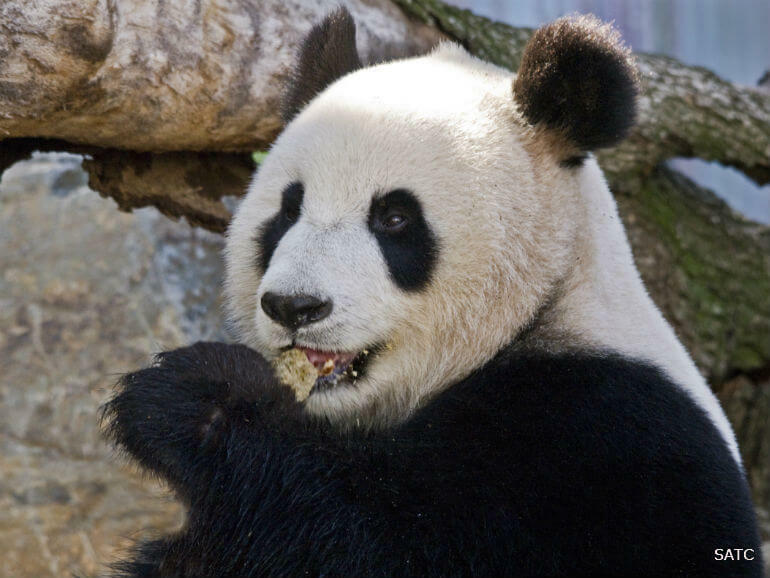 Australia’s only two Giant Pandas, Wang Wang and Fu Ni currently live at Adelaide Zoo, and are expected to remain on loan to the zoo until 2019. For a more immersive experience go behind the scenes, including an opportunity to interact with the Giant Pandas or or spend a night camping at the zoo. 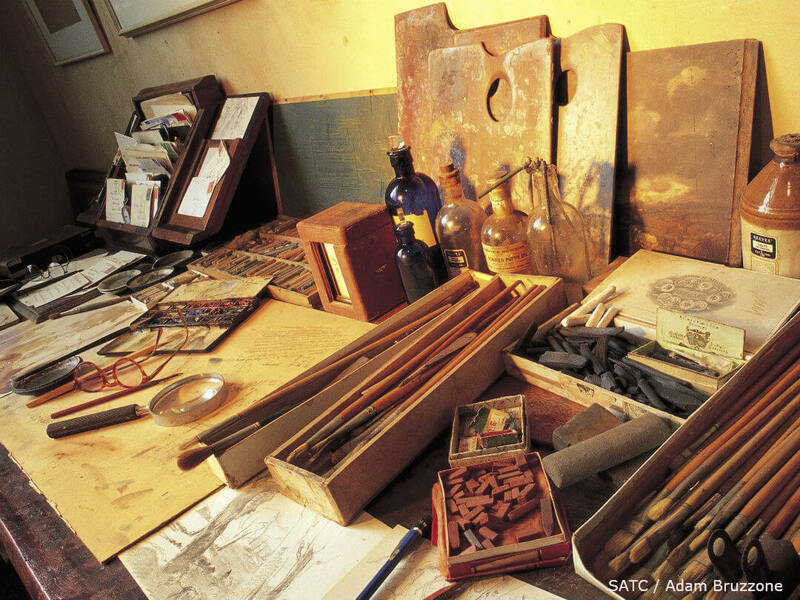 Opened in 2008, the centenary of Sir Don Bradman’s birth, The Bradman Collection is dedicated to one of, if not the world’s greatest cricketers. Open everyday, excluding event days and public holidays, from 9am to 4pm, the collection is housed in the Riverbank Stand at the Adelaide Oval. The display includes a collection of Sir Don’s trophies, bats and other memorabilia, film footage of his career and interactive displays. 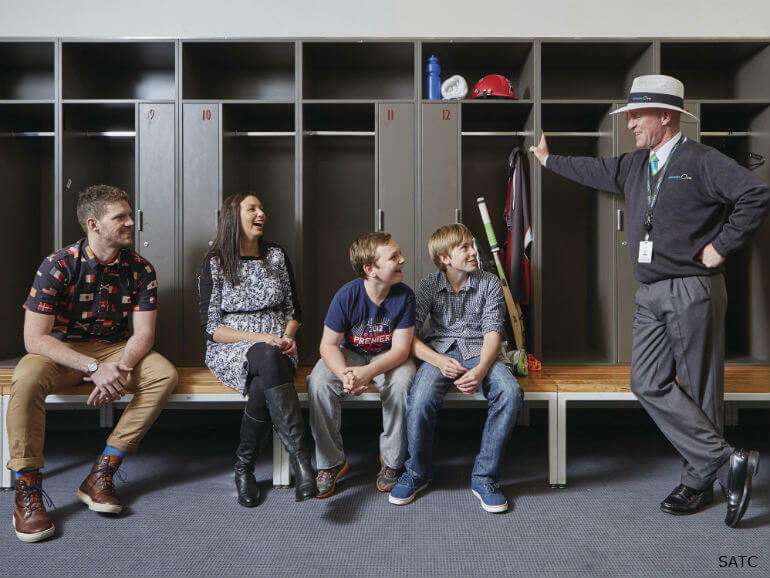 You can also take a tour of the Adelaide Oval, a behind the scenes look at the inner sanctum. 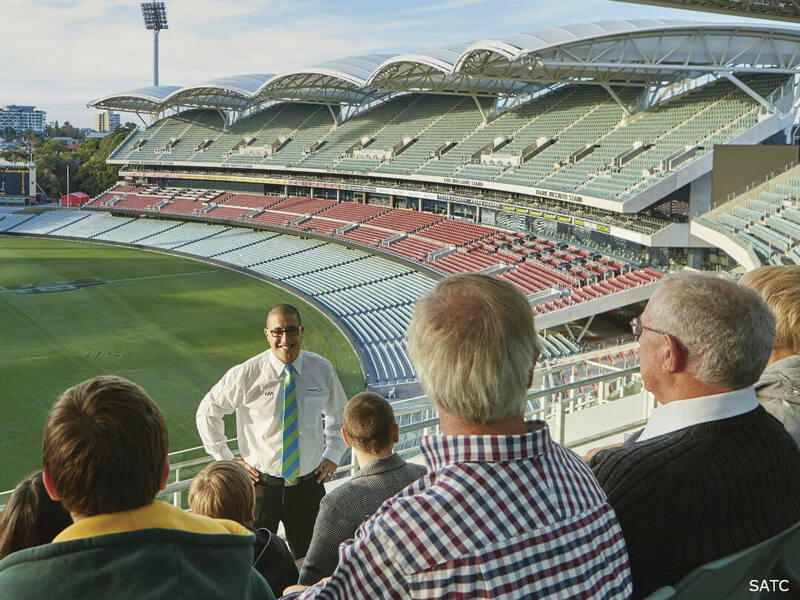 An expert volunteer guide will take you behind close doors and relive some of the memorable moments at the Adelaide Oval. The River Torrens flows from the Adelaide Hills, through the centre of Adelaide and to the ocean at St Vincent’s Gulf. 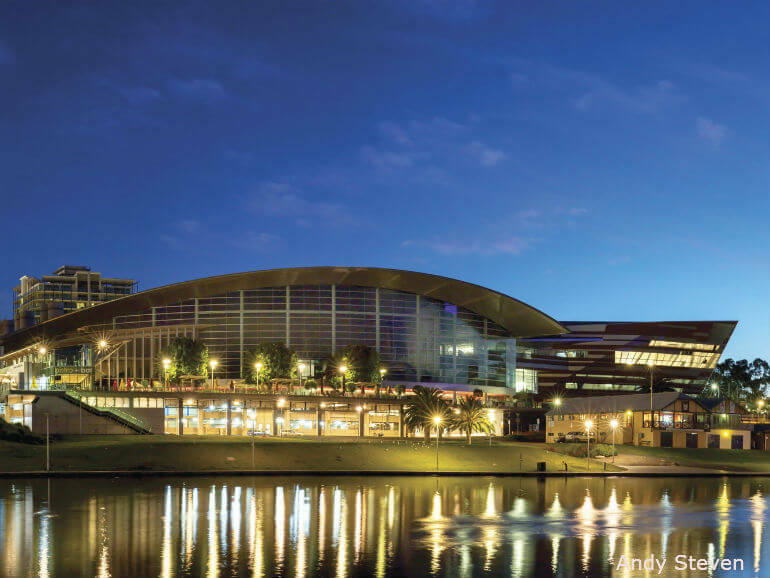 The city was located where it was because of the river and it weaves through the heart of Adelaide both literally and figuratively. There are walking and riding trails for 35 KLM along the rivers length and to complete a circuit you can cross the river and return on the other side. You can also cruise on the famous Popeye boats to cruise from Elder Park to Adelaide Zoo. A part of Adelaide’s fabric for 75 years they are now recognised as a South Australian Heritage Icon.